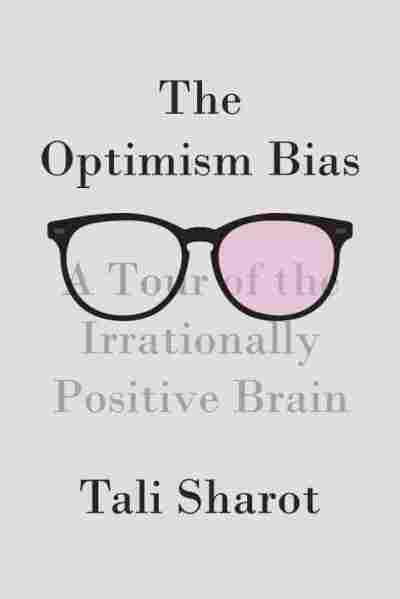 The Optimism Bias NPR coverage of The Optimism Bias: A Tour of the Irrationally Positive Brain by Tali Sharot. News, author interviews, critics' picks and more. A forefront neuroscientist investigates the bias toward optimism that exists in the human brain to determine the role of hope in survival, drawing on extensive research and findings in cognitive science to cover such topics as what happens when hope fails and the brain differences between optimists and pessimists. 75,000 first printing. A Glass Forever Half Full? I would have liked to tell you that my work on optimism grew out of a keen interest in the positive side of human nature. That would be a pleasant story: “A Cognitive Neuroscientist in Search of the Biological Basis of Our Hopeful Souls.” Pleasant but, unfortunately, untrue. I stumbled upon the optimism bias quite by accident while investigating people’s memories of the largest terrorist attack of our time. Back then, my scientiﬁc interests inclined more to the dark side: My principal research had been aimed at understanding how traumatic events shape our memories. I was interested in how the brain tricks us into believing that our recollections of exceptionally emotional events, such as the occurrences of September 11, 2001, are as accurate as a videotape, even when we are utterly mistaken. I had been conducting research at New York University for over a year when American Airlines Flight 11 and United Flight 175 were ﬂown into the World Trade Center at 430 miles per hour. Shock, confusion, and fear were the common responses on the street. Such forceful emotions are exactly the sort of reactions that will generate unusually vivid memories, ones that are reluctant to fade away. These are commonly referred to as “ﬂashbulb memories” because of their sharp-edged, picturelike qualities. In chapter 9, I tell the story of ﬂashbulb memories—how we remember unexpected arousing events and how the structures deep in our brain “Photoshop” these images, adding contrast, enhancing resolution, inserting and deleting details. I was puzzled: Why had our brains developed a mechanism that would create highly vivid memories that were not necessarily accurate? Around the time my colleagues and I published our scientiﬁc investigation of memories of 9/11, a group of researchers at Harvard University proposed an intriguing answer. The neural system responsible for recollecting episodes from our past might not have been developed for that purpose at all. Rather, the core function of this system, which many had believed evolved for memory, may, in fact, be to imagine the future. Brain-imaging studies show that the same brain structures that are engaged when we recollect our past are called upon when we think of the future. These two fundamental human thought activities rely on the same brain mechanisms; they draw on similar information and underlying processes. To imagine your upcoming trip to Barbados, for example, you need a system that can ﬂexibly reconstruct novel scenarios, one that can take bits and pieces of memories from your past (your last vacation to a warm country, images of sandy beaches, your partner in his swimsuit) and bind them together to create something new (you and your loved one wearing straw hats on a beach in Barbados next month)—an event that has yet to happen. 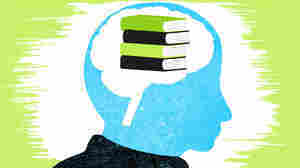 Because we use the same neural system to recall the past as we do to imagine the future, recollection also ends up being a reconstructive process rather than a videolike replay of past events, and thus is susceptible to inaccuracies. Was this theory correct? To discover the answer, I would record people’s brain activity while they imagined future events, then compare that activity to the pattern I observed when they were recollecting past events. The plan was simple. However, when I asked my volunteers to imagine future life events, something unexpected occurred. Even when given speciﬁc situations of the most humdrum kind (getting an ID card, playing a board game), people tended to fashion magniﬁcent scenarios around them. They kept painting the most perfectly gray events in shades of pink. I projected that I was getting my hair cut to donate to Locks of Love [the nonproﬁt organization that provides hairpieces to children suffering from hair loss]. It had taken me years to grow it out and my friends were all there to help celebrate. We went to my favorite hair place in Brooklyn and then went to lunch at our favorite restaurant. One to two years from now I see myself taking the ferry to the Statue of Liberty. The weather would be really nice and windy, so my hair would be blowing everywhere. The world, only a year or two into the future, was a wonderful place to live in. I spent hours with a student of mine, Alison Riccardi, trying to come up with exceptionally unexciting events that surely couldn’t provide any cause for celebration. All to no avail. Once people started imagining, the most banal life events seemed to take a dramatic turn for the better, resulting in a life that was just a bit less ordinary. These responses switched on a red (or at least pinkish) light in my mind. I was surprised by this tremendously powerful, seemingly automatic inclination to imagine a bright future. If all our participants insisted on thinking positively when it came to what lay in store for them personally, then there had to be a neurobiological basis for this phenomenon. We set aside our original project and went on to try to identify the neural mechanisms that mediate our optimistic tendencies. How does the brain generate hope? How does it trick us into moving forward? What happens when it fails? How do the brains of optimists differ from those of pessimists? Although optimism is vital for our well-being and has an enormous impact on the economy, these questions have been left unanswered for decades. In this book, I argue that humans do not hold a positivity bias on account of having read too many self-help books. Rather, optimism may be so essential to our survival that it is hardwired into our most complex organ, the brain. From modern-day ﬁnancial analysts to world leaders, newlyweds (all described in chapter 11), the Los Angeles Lakers (chapter 3), and even birds (chapter 2), optimism biases human and nonhuman thought. It takes rational reasoning hostage, directing our expectations toward a better outcome without sufﬁcient evidence to support such a conclusion. Close your eyes for a moment and imagine your life ﬁve years from now. What sorts of scenarios and images pop into your mind? How do you see yourself professionally? What is the quality of your personal life and relationships? Though each of us may deﬁne happiness in a different way, it remains the case that we are inclined to see ourselves moving happily toward professional success, fulﬁlling relationships, ﬁnancial security, and stable health. Unemployment, divorce, debt, Alzheimer’s, and any number of other regrettably common misfortunes are rarely factored into our projections. Are such unrealistic predictions of future bliss limited to thoughts of fundamental, life-altering events such as marriage and promotion? Or do optimistic illusions extend to more mundane, everyday events? Do we expect to get more work done this week than last? Do we expect tomorrow to be better than yesterday? Do we assume that next month will be ﬁlled, on the whole, with more enjoyable encounters than irritating ones? In the summer of 2006, I set out to research this more prosaic part of the equation. I was spending a few months working at the Weizmann Institute for Science in Israel before starting a new job at University College London. Whatever the depth of my own optimistic nature, I wasn’t banking on getting too many sunny days once I got to the United Kingdom, so I was fairly determined to get some sun on my face for a few weeks before relocating to the English capital. The Weizmann Institute is about a twenty-minute drive from the bustling city of Tel Aviv. It’s a scientiﬁc oasis in the middle of the country, its well-tended greens reminiscent of those on a California campus. But if the institute feels peaceful in itself, it is no secret that the volatile politics of Israel are always close at hand. Most Weizmann students enter college after fulﬁlling their mandatory military service, a life experience that doesn’t necessarily incline one to be optimistic. With this in mind, I wondered about the extent to which they would be prone to the optimism bias. I recruited my sample group, then asked them about their expectations for the month ahead. On the most humdrum level, how likely did they think it was that they would be stuck in trafﬁc sometime, or be more than half an hour late for an appointment? On a slightly more heightened level of anticipation, what did they think were their odds of having a sexual encounter they would regret, or one they would enjoy? Did they see themselves cooking an elaborate meal, receiving a surprise gift? I presented them with one hundred such questions. I have to say, the results astonished me, in that an overwhelming majority of the students expected more positive experiences than negative or even neutral ones, at a comparative rate of around 50 percent to 33 percent. That was not all: The positive incidents were also expected to occur sooner than the unpleasant or just plain boring ones. While the students generally expected to enjoy a nice evening out with a partner in the next few days, an argument with a boyfriend or girlfriend was anticipated—if at all—only toward the end of the month. On the off chance that my participants were leading charmed lives, I asked them to come back a month later and tell me which of those one hundred notional events they had actually experienced during that time. As it happened, positive, negative, and neutral everyday events had befallen them more or less equally, in roughly even 33 percent shares. The Weizmann students had not hit on the secret of human happiness; they had merely expressed a very ordinary optimism bias. In considering this example, you may be wondering whether optimism is truly a dominant trend in the population at large or, more speciﬁcally, a special delusion of youth. This is a fair question. You would think that as we grow older, we grow wiser. With more years of life experience behind us, we should be able to perceive the world more accurately—to distinguish delusions of hope from hard-core reality. We should, but we don’t. We wear rose-tinted glasses whether we are eight or eighty. Schoolchildren as young as nine have been reported to express optimistic expectations about their adult lives, and a survey published in 2005 revealed that older adults (ages sixty to eighty) are just as likely to see the glass half full as middle-aged adults (ages thirty-six to ﬁfty-nine) and young adults (ages eighteen to twenty-ﬁve). Optimism is prevalent in every age group, race, and socioeconomic status.